The four adjoined buildings that make up the Residence Hall are designed to continue the University's College House tradition: where first through fourth year students live together, along with faculty members and graduate students who act as resident support staff. The residence hall extends beyond just living spaces, incorporating multi-level "house hubs" for gathering, a dining commons, retail spaces, offices, multi-purpose rooms, study rooms, and classrooms for a truly unique living experience. 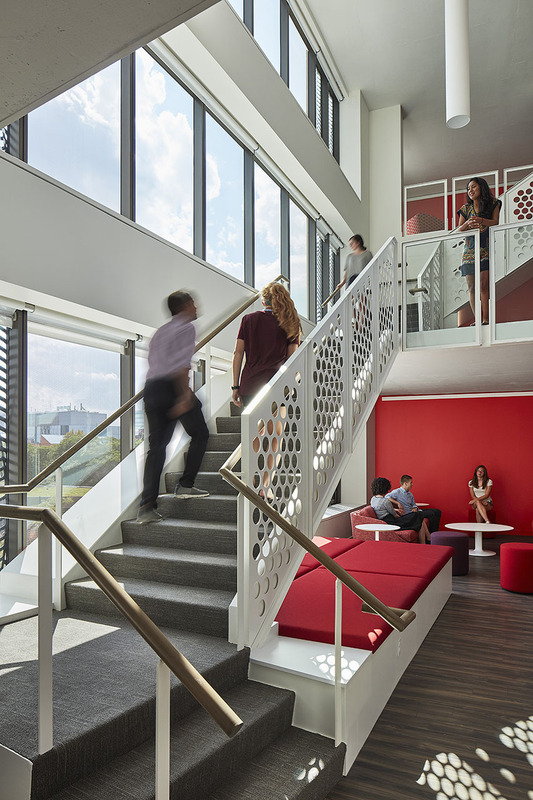 Because a residence hall is a 24-hour community, attention to acoustic isolation is targeted where actively used spaces are in close proximity to sleeping or quiet spaces. 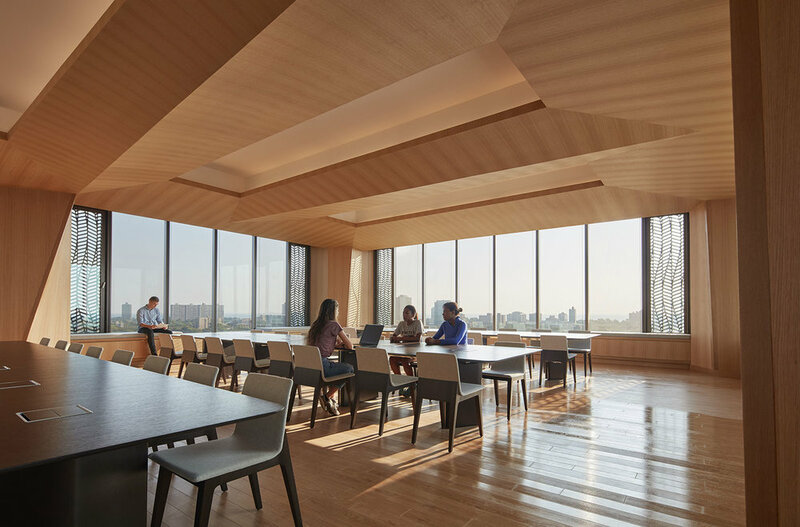 The design is centered on providing acoustic privacy at dorms and apartments, while enhancing community and social activity with acoustically supportive materials and finishes in the public spaces.